You probably already know just how important your teeth are. They help you talk. They allow you to chew. They give others something to see when you smile. They even give you something to smile about when you look at yourself in the mirror. Now take that importance and think about what it means to your child. Think about just how important those pearly chompers are to everything from your child's daily activities to their personal development when growing up. Without a doubt, they're even more important for your children. That's why when you notice any of the following 9 signs from your child, your child needs to see the nearest pediatric dentist as soon as possible. White spots are normal, right? Most parents think they go away with time. Wrong! They're generally the first warning signs that a cavity is about to develop. They require quick intervention, or your child's beautiful smile may be on the way towards being tarnished. Your dentist can perform restorative dentistry if those spots are decay and it has gone too far, or they can recommend dietary changes or dental products to help remineralize the teeth. If your child complains about their gums feeling sore or irritated after they brush, then that's a warning sign that they may have gingivitis. Should you be worried? Gingivitis is the first stage of periodontal disease, but it is also a stage that can be reversed if treated promptly. With improved dental hygiene, your child may be able to enjoy brushing and flossing without having to worry about irritated or bleeding gums. Every child has their favorite cold or hot treat. Hot chocolate, ice cream, soup with silly shapes in it and even ice-cold milk comes to mind. What would cause your child to stop eating the foods they enjoy? The same thing that might stop you: sensitivity in your teeth to foods that are hotter or colder than room temperature. While this may be a problem that sorts itself out, it can also be the beginning signs of tooth decay, an exposed tooth root or a myriad of unfriendly problems. Your child's dentist can treat these problems and, worse comes to worst, give your child special medicine that decreases sensitivity so they can enjoy their favorite treats once more. Tooth decay starts as small white spots that represent a thinned outer layer of the enamel. The decay then changes to a brown color and finally turns black. The last two colors represent decay that the body cannot reverse on its own. If your child has brown or black spots on their teeth, then it's time to see your dentist. Your child may need fillings to ensure that the decay doesn't progress. As with all things, prompt treatment of dental cavities ensures teeth will last far longer than if you waited until the last second to have your child's teeth fixed. 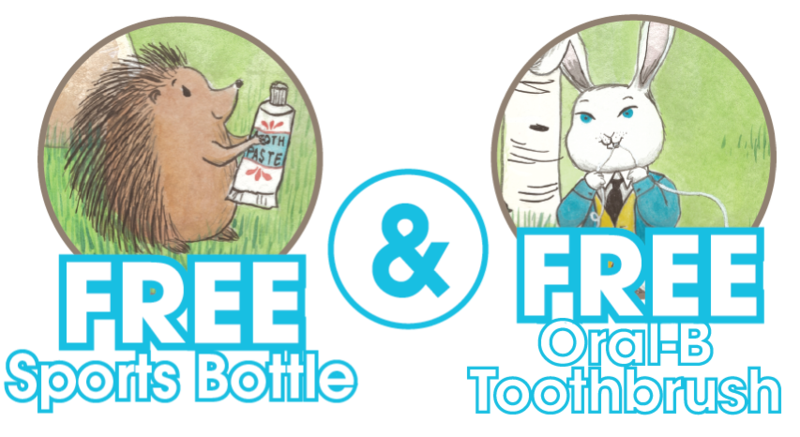 Does your child have a tooth that wobbles to and fro? Does it wiggle back and forth? Does it act like it wants to go? Even though it's natural for “baby” teeth to do this as your child ages, it may not be because there's another tooth trying to grow in place. 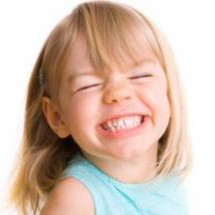 Your child may already have periodontal problems or teeth affected by trauma. To ensure this isn't the case, schedule an appointment for your child with their pediatric dentist immediately. If your child is at that age where they begin to lose their baby teeth and their adult teeth are setting in, there's a few problems that might occur. Their adult teeth might be impacted or crooked. One or more teeth might be trying to erupt underneath other adult teeth. There may even be damage to some of the teeth due to other conditions. That's why it's always a good idea to check things out at the dentist's office with some x-rays. Early intervention can make your child's smile better. The one color besides white, brown or black that hasn't been covered yet is yellow. It's the color that some teeth get due to the ingestion of certain foods or chemicals while teeth are developing. If your child's teeth are yellow, then this could be a cause for concern. While yellow teeth may not be a direct threat to the health of their teeth, it does represent something that could hurt their self-esteem as they grow up. Every child should have fluoride in their diet to ensure that their teeth can be protected from acids. What happens when your child gets too much fluoride? A number of things can happen to their body, but the most prominent concerns the development of white streaks or splotches on their teeth. These can have a damaging effect on your child's self-esteem, which means that it's best to fix them as soon as possible. The most obvious sign that your child needs to see a dentist is a toothache. Nobody should be forced to suffer through this kind of pain, because it affects everything from eating to trying to rest at night. If your child experiences toothaches, then don't hesitate for one second to contact us at Tatum Pediatric Dentistry. We'll do our best to get your child in as soon as possible so that their toothache woes go away.